Masquerade star mask is hand glittered. 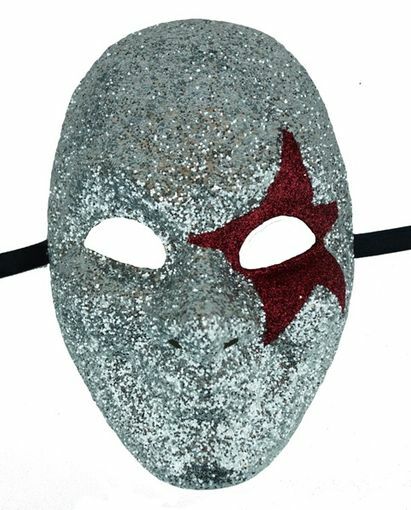 This mask is covered in silver glitter and a red glitter star around lift eye. Comes with black ribbon ties.